Looking for something kind of magical to do with your family this holiday season? Tacoma has several show stopping light displays and holiday cheer to go around, so come stay the night in Pierce County and make memories in the city. Every year around the holidays, Watson’s Greenhouse and Nursery brings out the reindeer. 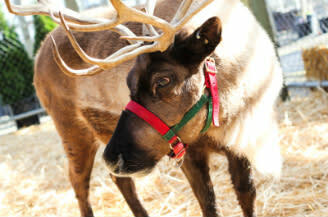 Take your kids to see Donder or Blitzen up close, because how often do you get to do that? Besides the reindeer, Watsons gets decked out for the holidays. Fully adorned Christmas trees, poinsettias, and lots of festivity. Does the forecast call for chilly temperatures and sideways rain? You can still enjoy holiday lights. Specifically, the annual Fantasy Lights at Spanaway Lake Park. Load the family in the car, and get ready to experience the lights from the comfort of your vehicle. Swing through a drive through and get everyone a hot chocolate to sip on then turn on the Christmas music (FM 95.3) and enjoy over 300 lighted displays. Take in over two miles of twinkling, holiday spirit for only $14 per car. Seriously, it’s cold and dark outside so get ye into a warm restaurant. South Tacoma Way is dotted with culinary options. Gangnam BBQ is a 10 minute drive from the Fantasy Lights. 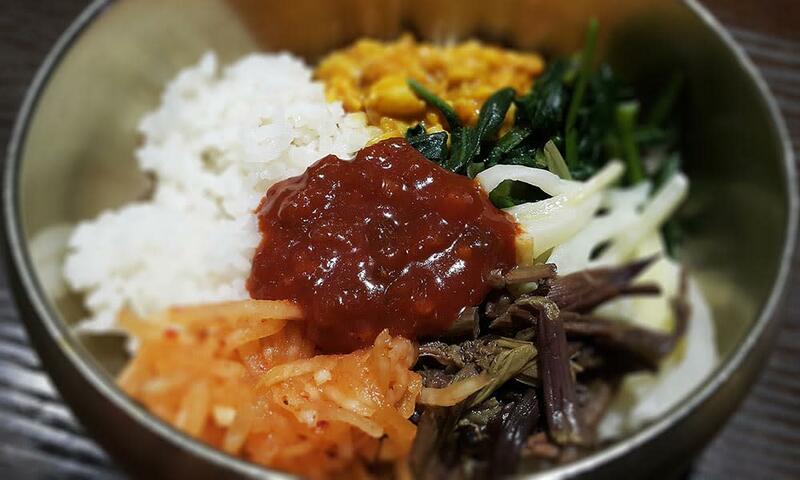 Korean barbecue is a fun, hands-on experience that the kids will enjoy. Korean dishes at Ho Soon Yi Restaurant, or Salvadorean cuisine at El Pulgarcito. There’s also plenty of pho options, ‘cause nothing is better than a big bowl of broth, meat, and noodles when it&apos;s chilly outside. Grab breakfast downtown on Pacific Ave, just a short walk away from your hotel. 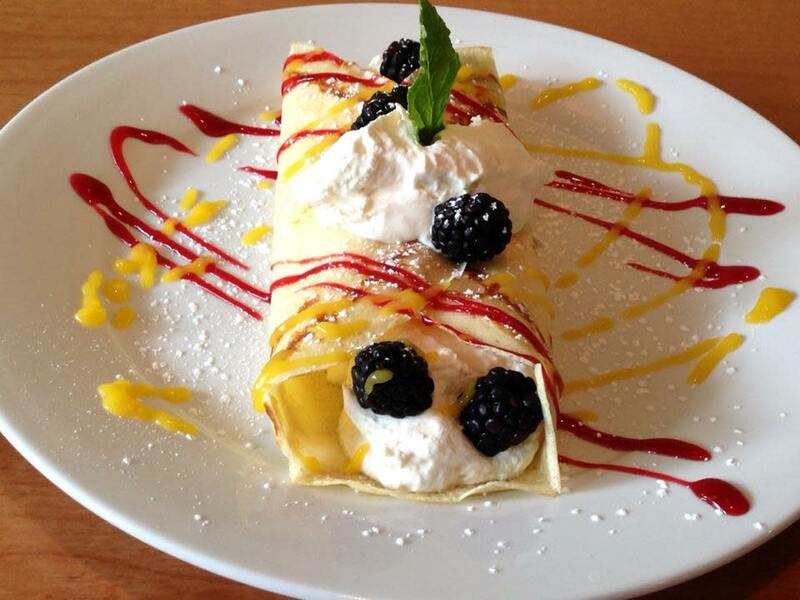 Savor Creperie is always delicious, and there’s something perfectly holiday about starting your day with a crepe. You’ve also got Anthem Coffee & Tea for a quick coffee and breakfast. After fueling up, browse some of the downtown shops for those last minute gifts you still need to check off your lists. Check out Satori Boutique and Bleach for apparel, Ka&apos;lectic for chic athleisure and yoga wear, Channing Baby & Co. for expecting parents or young kiddos, and Stocklist Goods for unique and fun gifts. You’ve got two options after your morning of shopping. If you’re planning your trip between December 21 and January 1, stop into the Washington State History Museum to see history and holiday magic unite at the Model Train Festival. This annual festival showcases railroad scenes in the Pacific Northwest, and is a delight for children and adults alike. Beyond the Model Train Festival, The Great Hall of Washington History is the History Museum&apos;s permanent exhibit on the history of the state, and is not to be missed while you&apos;re in Tacoma. 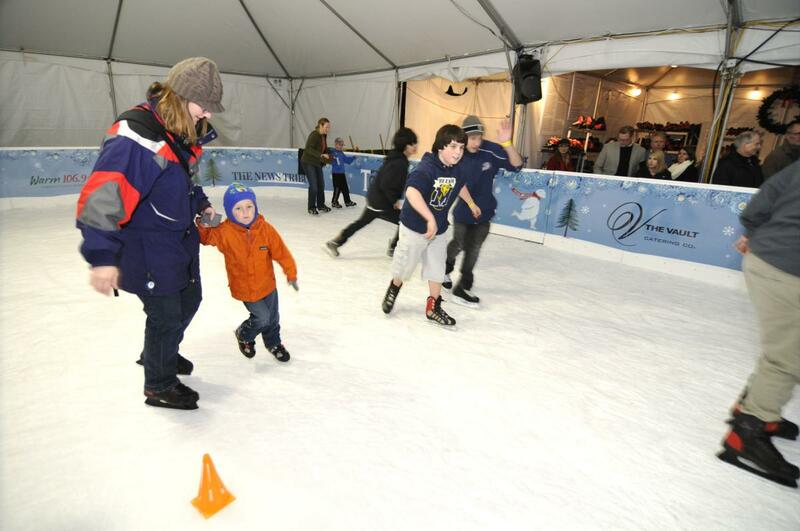 If you’re visiting before or after the Model Train Festival, make the trip to Point Ruston for a little ice skating fun at the Frozen Fountain. Every year an outdoor skating rink gets set up at Point Ruston in Tacoma. Skating by the shoreline? How could you say no! The entire Grand Plaza at Point Ruston becomes a winter wonderland for the holiday season, and it&apos;s the perfect place enjoy a little festive cheer while in the city. 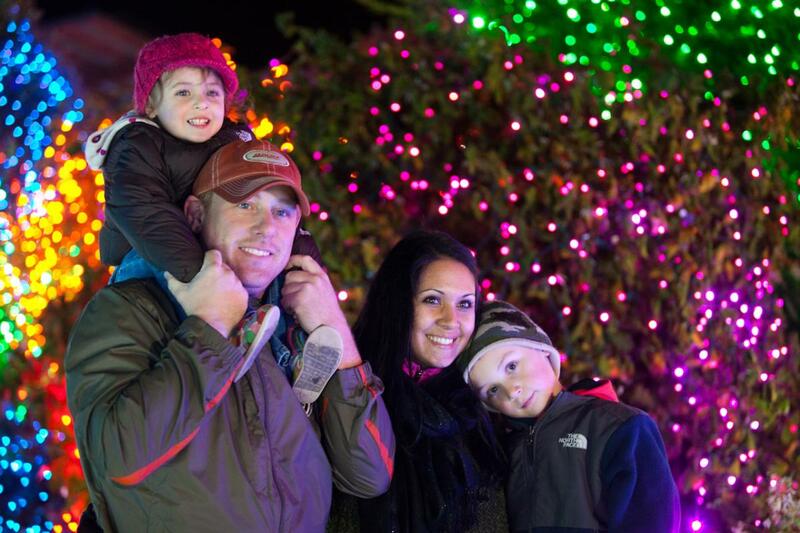 Head to Point Defiance Zoo + Aquarium for Zoolights. If this isn’t already a holiday tradition for your family, it will be soon. The combined zoo and aquarium, the only one in the Pacific Northwest, is a magical enough experience on it&apos;s own, but now you can extend your visit into the evening and enjoy more than 700,000 lights throughout the grounds. Lighted displays include a giant octopus, polar bears, and marching penguins. The zoo exhibits and aquarium will be closed during Zoolights, but buying a combo pass will let you see the animals during the day and then stick around for their lighted counterparts after the sun sets. 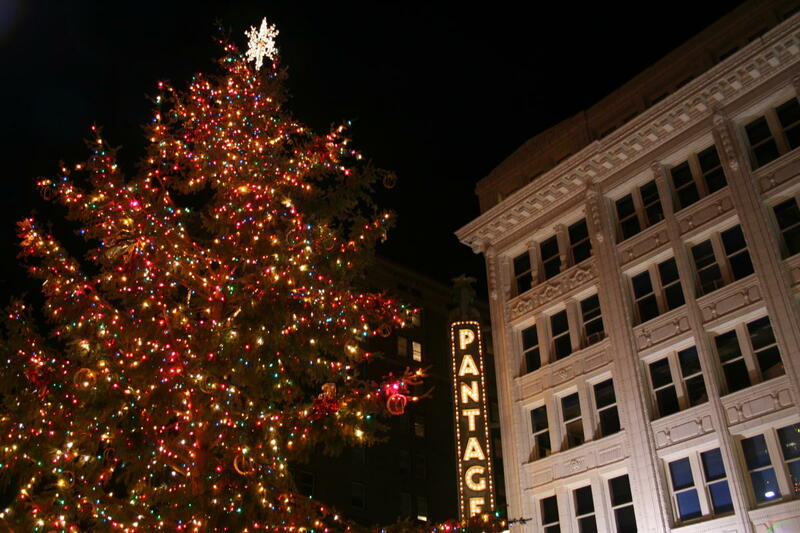 On your way home, drive through Tacoma’s historic Theater District and admire the Christmas tree outside of the Pantages Theater. For over 70 years the downtown tree has stood on the corner of 9th & Broadway in Tacoma, and is a holiday staple in the community. Even if it&apos;s just a quick drive by, it wouldn&apos;t be a complete holiday lights experience without seeing it. Tacoma isn&apos;t short on food options, visit our restaurants page to find your perfect lunch or dinner spot. We recommend visiting 6th Ave for eclectic dining options and shopping, throwback shakes and burgers in the historic Stadium District, or a meal with a view along the Ruston Way waterfront. 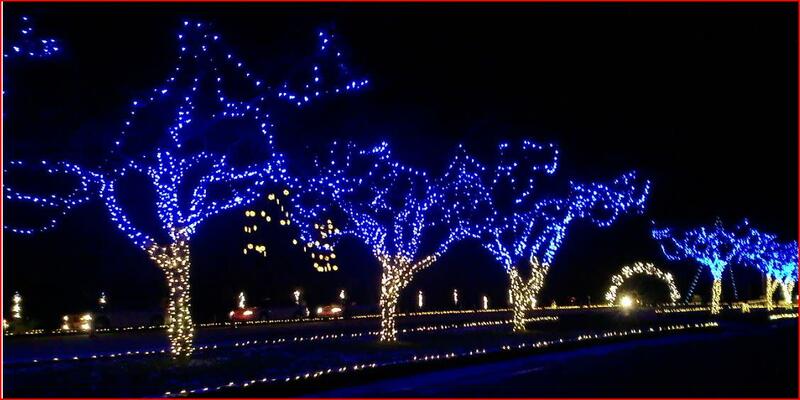 To get the full holiday lights experience, you need to stay overnight in Pierce County. There are a couple of regions that are especially convenient for this itinerary. Downtown Tacoma is centrally located. It&apos;s easy to walk to the shops on Pacific Ave, and just a short drive to the Ruston Way waterfront and Zoolights at Point Defiance Zoo + Aquarium. The Hosmer hotels in Tacoma are a bit further south and situated equally between the Fantasy Lights in Spanaway and all of the holiday activities in downtown. Finally, if you want a bit of space from the hustle and bustle of the city during the holidays, and maybe the higher price tag, try some of the beautiful hotels in Puyallup. But really, you can&apos;t go wrong with whichever home base you decide on for your holiday lights experience.